This biggest airport in Poland is located in Warsaw’s district of Włochy. It is located about 8 kilometres to the south-west of the city centre and covers an area of 500 hectares. 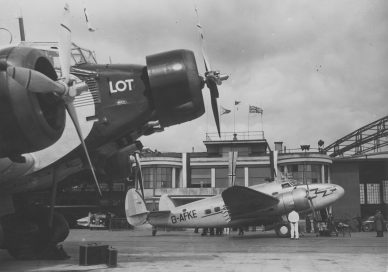 When the airport was opened in 1934 it was called Port Lotniczy Warszawa — Okęcie (Warsaw-Okęcie Airport). 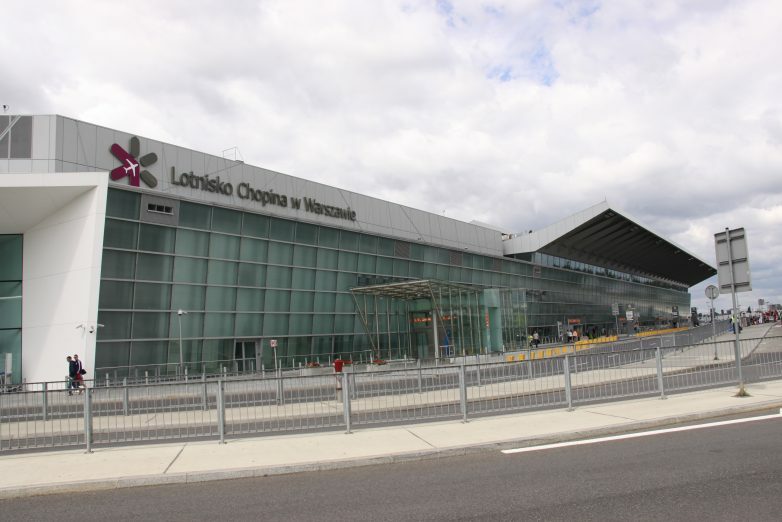 In 2001 the airport was named after Fryderyk Chopin and in 2010 at the Civil Aviation Authority the new name of the airport — Lotnisko Chopina (Chopin Airport) was registered. 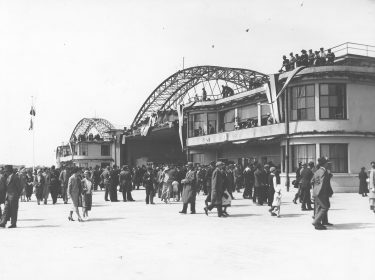 On April 29, 1934 a solemn opening of the passenger airport Warszawa-Okęcie took place. The airport complex in Okęcie was designed by Edward Seidenbeutel (alias Sułkowski) (1894–1959), graduate of the Faculty of Architecture of Warsaw University of Technology. Currently, Warsaw Chopin Airport handles 100 regular connections with both domestic and foreign airports. The airport is also handling more and more charter connections and cargo connections. 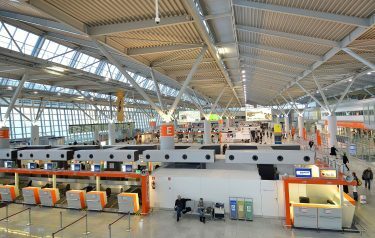 In 2013 the airport served more than 10 million passengers, which constitutes almost 40% of the whole passenger traffic in Poland. The airport handles connections with countries of North America, Africa, Asia and Europe. In May 2015 after the reconstruction which lasted for two years, a new part of the Terminal A was opened. 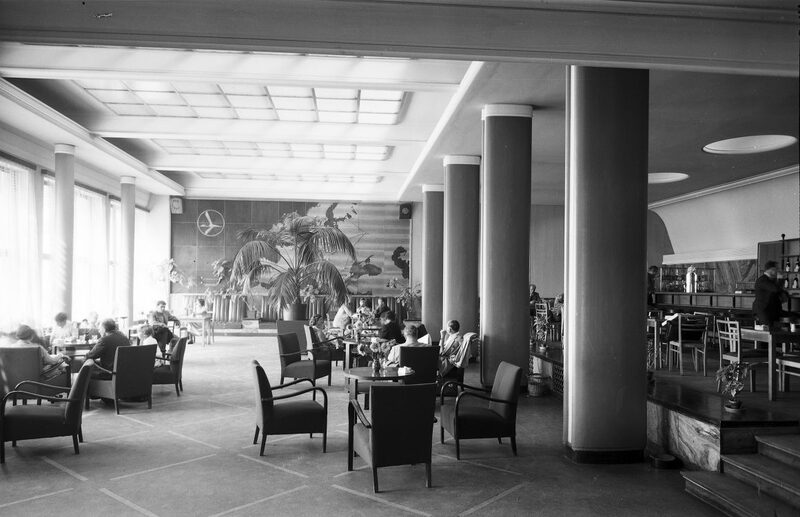 In the new space in addition to the spacious halls of the departures and arrivals many new stores, famous and exclusive brands, restaurants and pubs were located. Also the long-awaited observation deck was opened. 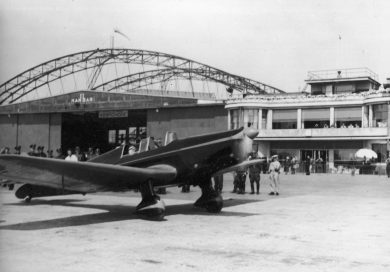 Okęcie airport in Warsaw, May 1934. A view of the interior. Charles Lindbergh’s airplane on the ground at Okęcie airport in Warsaw. September 1938. An airplane of British Airways after landing at the Okęcie airport. An airplane of PLL LOT also visible on the picture. April 17, 1939. 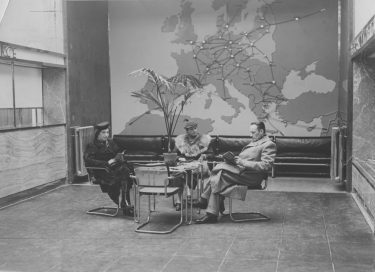 Waiting room in 1955. On the wall you can see a drawing of a crane — the logo of Polish Airlines PLL LOT.